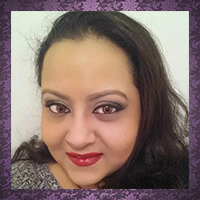 Hi there, my darlings! 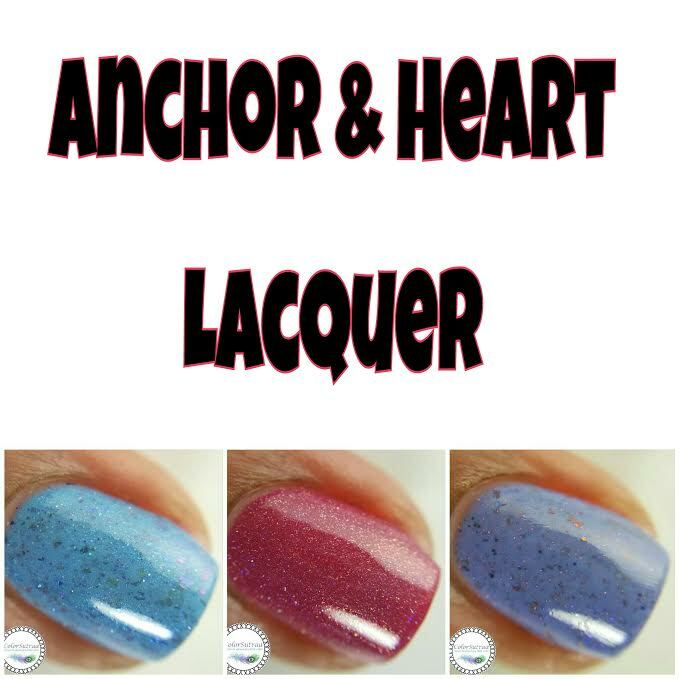 Today, as part of our featured indie series, I have a trio of polishes handpicked just for me by Taryn of Anchor & Heart Lacquer! 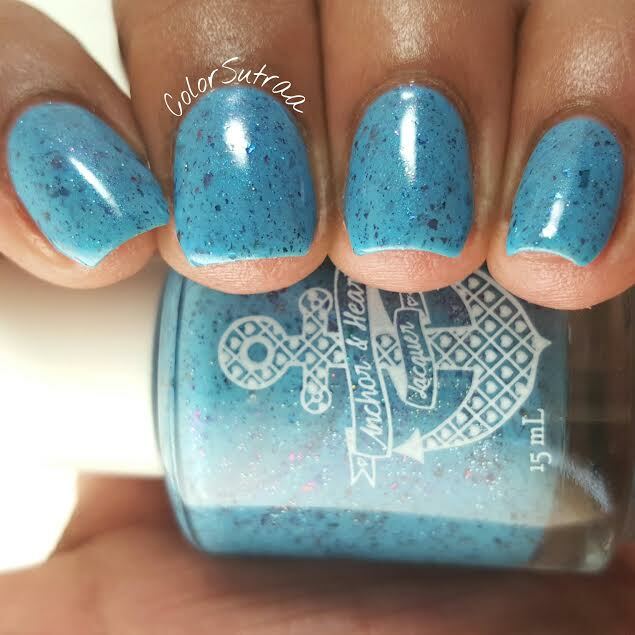 She asked me what my favorite colors are and chose 3 beauties from her My Anchors, My Friends collection for me to share with you all. Let's take a peek! 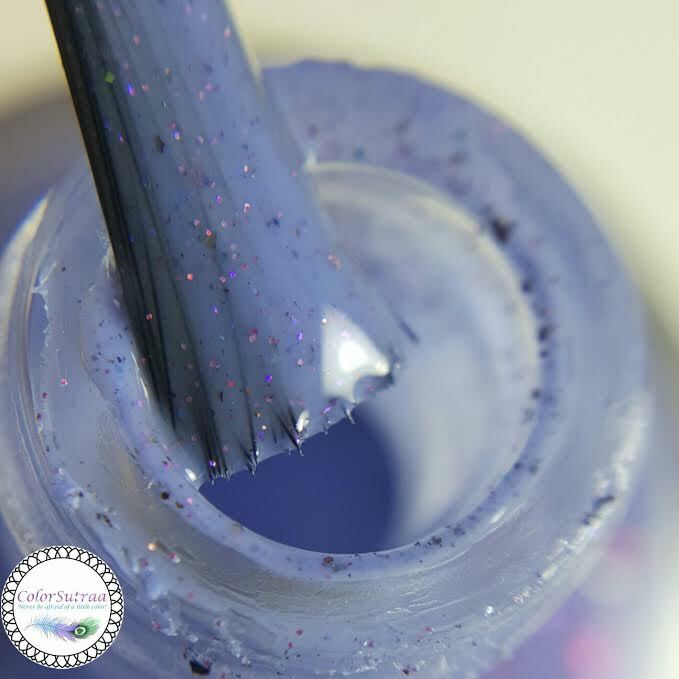 The Sincerest is described as a "creamy light purple crelly (2-3 coats for opacity) with red/violet shifting ultrachrome flakies, shifting red/blue holo micro-glitter, and violet shimmer." 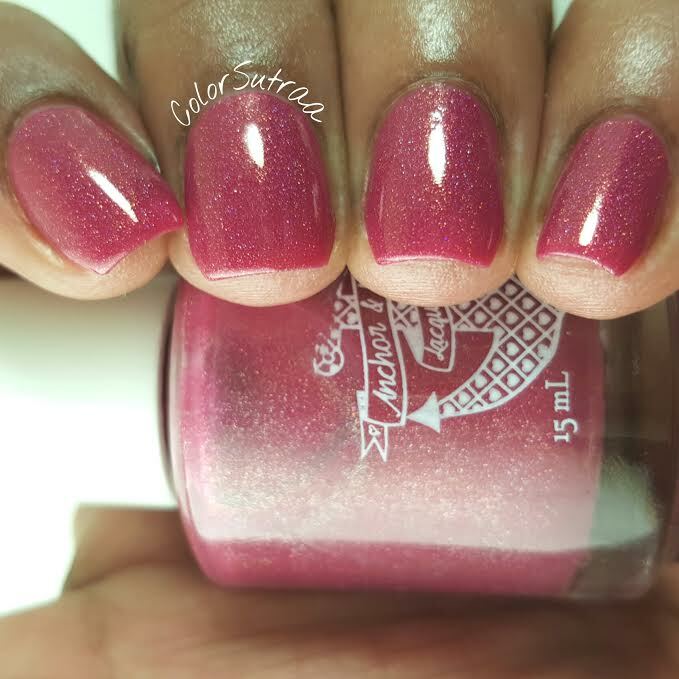 Lovely formula and application--this polish is pretty much fully opaque in 2 coats but I added a third for more of those flakies. 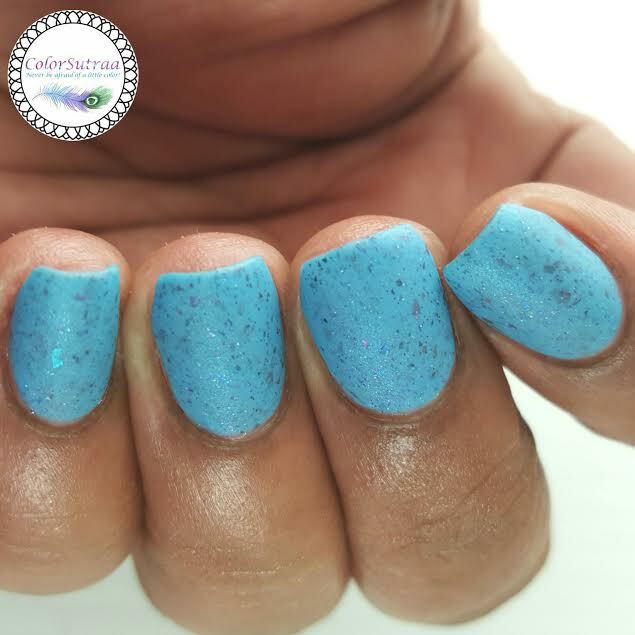 The swatches below show 3 thin coats topped with 1 generous coat of Glisten & Glow's Hk Girl topcoat. 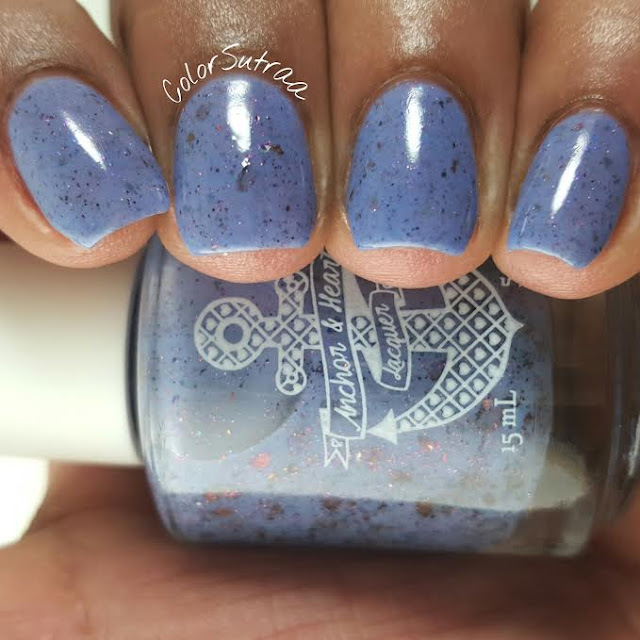 Such a gorgeous, dusty purple! 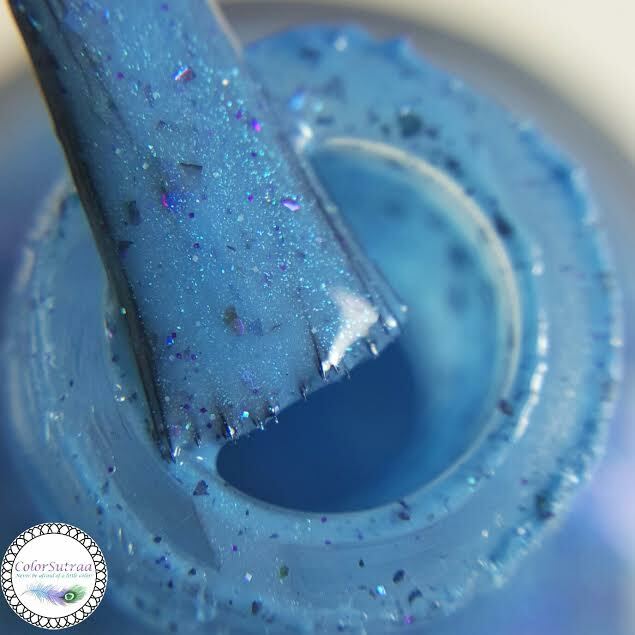 The Stubborn is described as a "dusty mid-toned blue with violet/blue ultrachrome flakies, strong blue shimmer, as well as a bit of pale blue holo micro glitter." Smooth, easy formula and application--again, opaque in 2 coats but I added a third for more depth. 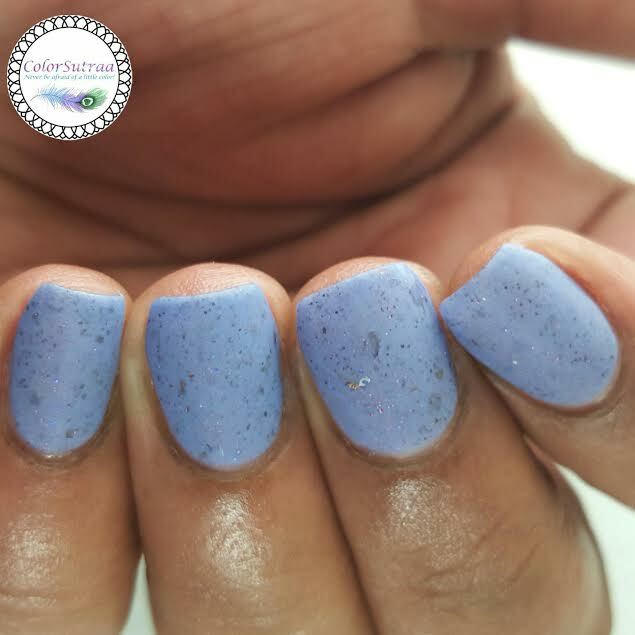 The swatches below show 3 thin coats topped with 1 generous coat of Glisten & Glow's Hk Girl topcoat. 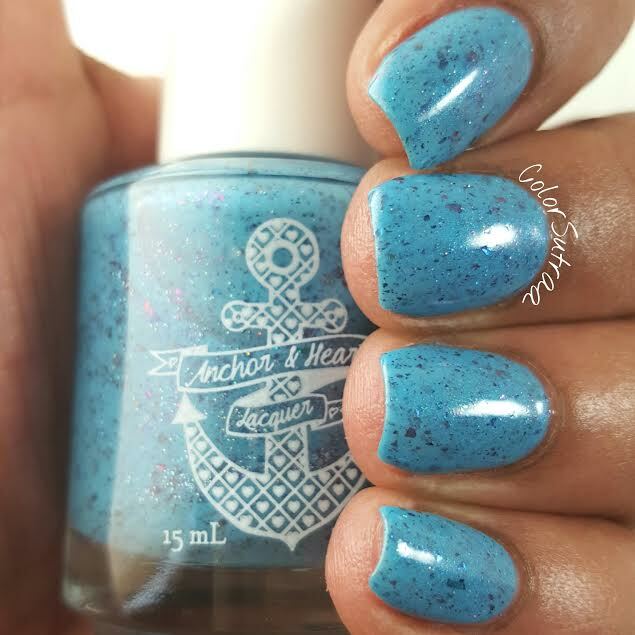 LOVE this shade of blue! 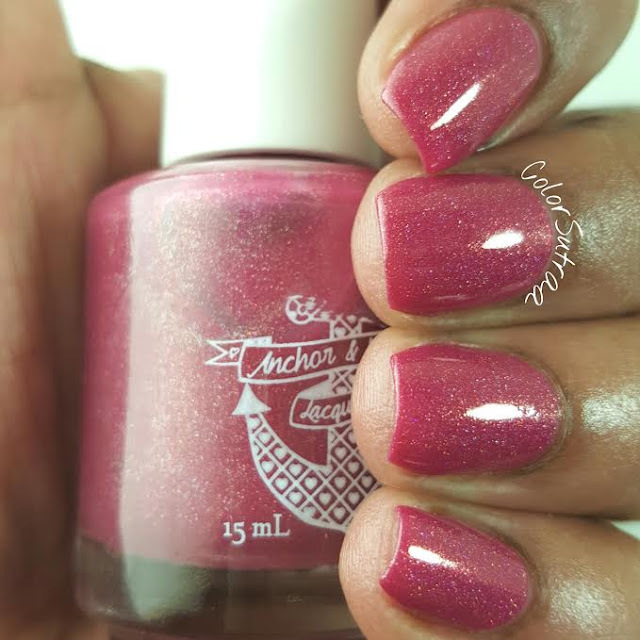 The Vivacious is described as a "raspberry red linear holo with strong gold shimmer, and a scattered dark pink holo micro-glitter." 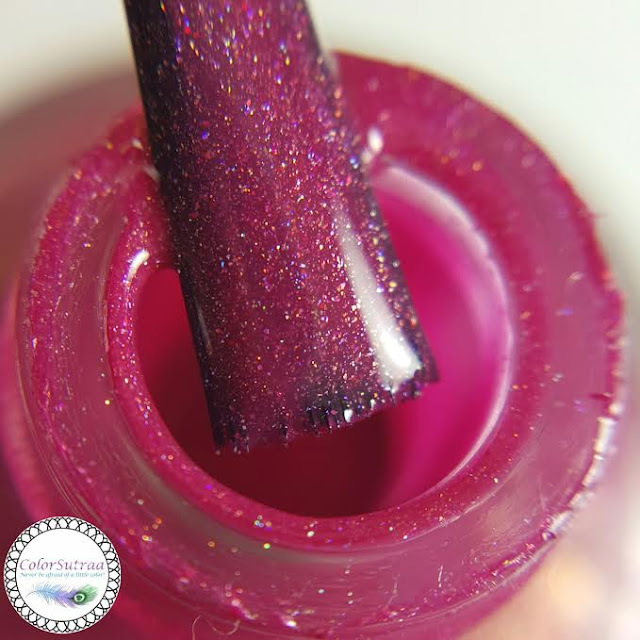 Perfect, squishy jelly holo formula and application--the swatches below show 3 thin coats topped with 1 generous coat of Glisten & Glow's Hk Girl topcoat. 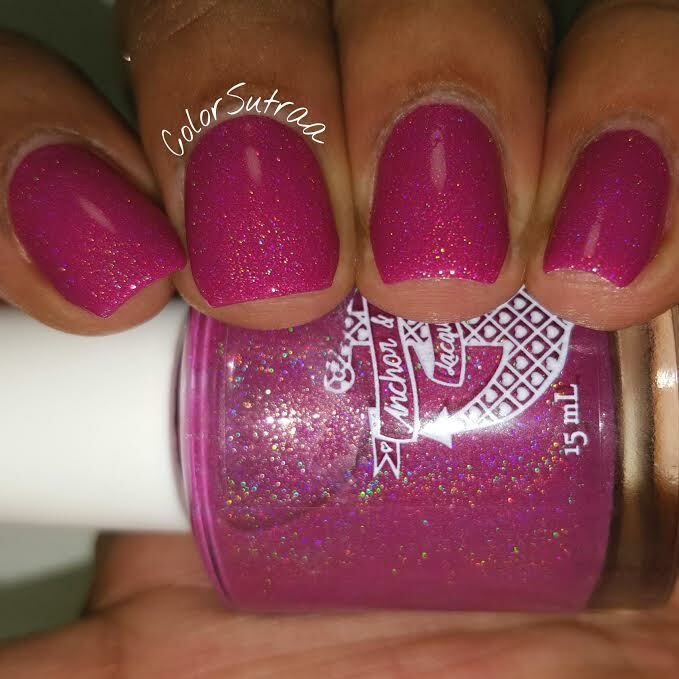 The holo is just an accent in this beauty but that gold shimmer is so intense! You already know this is my fave! 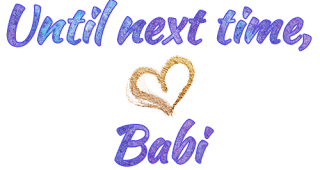 So there you have it, my darlings! 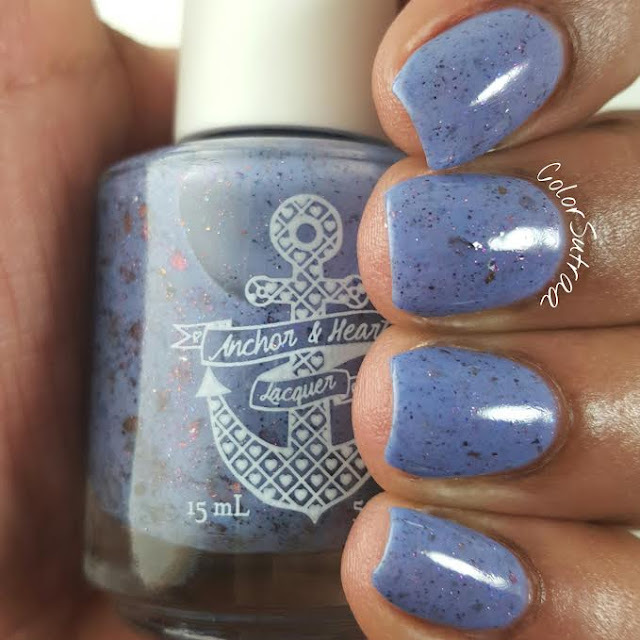 These beauties, along with the rest of the My Anchors, My Friends collection are all currently available on Anchor & Heart Lacquers's store HERE for the price of $9.50 for a full-size, 0.5 oz bottle. Which of these three are YOUR favorites? I would love to hear from you in the comments section below! I love both the blues you chose. Those gold glittery bits are my favorite part.